During the the reading week we had off, i was unsure if we could use an existing technology magazine like .Net and then do edition of that magazine. But then i forgot about that idea and changed my mind and decided to create my own Technology Brand that produces a magazine. Zoned is a Technology based company that produces magazines monthly and nominated for being the best Technology this year. Here is my final design that i have decided to stick to. 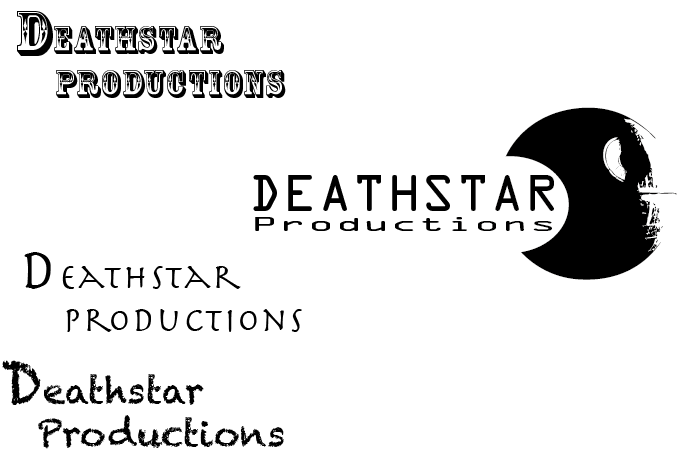 Deathstar Productions is the brand but as you know the Deathstar has been traced in a way from Star Wars buts its fine to stick with it since ive done so much work developing the brand. Deathstar Production is a business that helps up and coming small businesses to multimedia services such as web and app development, Games design. I’ve kept the font and graphic dark because its relates to being in space and that the stars are the limit in some words. In the image below i have picked my brand name just need to fit the graphic to a suitable type font and colour to make sure that they isnt any different meanings or it doesnt look right. 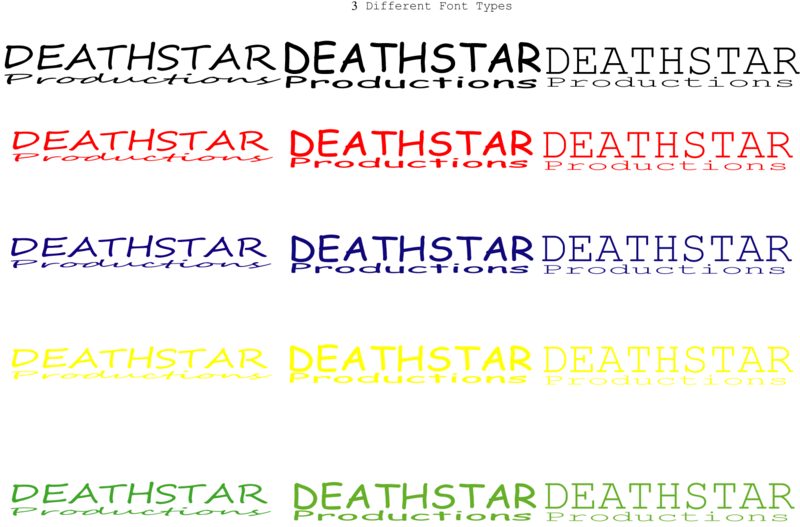 Here is a picture of me picking 3 different type faces and a range of different colours to go with that type font. This is just a photo of me messing around with a graphic and type faces on Adobe Illustrator with a concept in my mind but just really getting to know the software .